Here is a beautiful song by the greatest singer of the Philippines, who is referred to as "Asia's Queen of Songs". Although sung in Cebuano, "Adlaw Ug Gabi-i" is not a Cebuano song, it's a Tagalog song called "Araw-Araw, Gabi-Gabi" ("Day & Night"), coming from the 1975 movie "Araw-Araw, Gabi-Gabi". 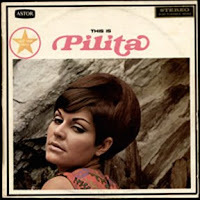 Pilita Corrales was born in Cebu City, in 1939, of Spanish and indigenous Cebuano ancestry. In 1958, she began her recording career after arriving with a shipwrecked troupe of performers in Melbourne. She left her mark by becoming the first woman to make the Australian pop charts. She became a star of the Melbourne TV circuit and she's billed as one of the Grand Dames of Melbourne Radio and Television. As one of the pioneers of Australia's early television years, a street was named after her outside Melbourne. Pilita returned to Manila during the mid 1960's. She performed regularly in stage shows at the Manila Grand Opera House. She has performed with internationally acclaimed artists like Sammy Davis Jr. the Beatles, Bob Hope, Pat Boone, Frank Sinatra and Julie Andrews. She also appeared in movies, most of them musicals. 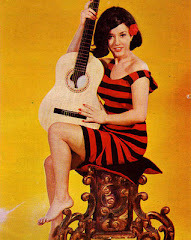 Pilita later recorded numerous albums in Spanish in the early 60's as well as numerous LPs in English, Tagalog and Cebuano during the 1970's under Vicor Music Corporation. Her multiawarded TV program at ABS-CBN, "An Evening with Pilita" (1965-1972), is widely considered as one of the benchmarks in Philippines broadcasting history. Through the personal invitation of Sammy Davis Jr., Pilita became the first Filipino to sing in Caesars Palace. In 1991, she was given a Lifetime Achievement Award by the Philippines Association of the Record Industry for bringing Filipino musical artistry to international audience. She also holds the distinction of being the first Filipino to win in an international music festival by bagging the Best Performer Award during the 1st Tokyo Music Festival (1972) where she bested numerous international artists. With over 135 albums to her credit and an international profile with many appearances in Asia, the Middle East, Australia and North America, she still enjoys a reputation as "singing icon and living legend". Enjoy the beautiful voice of the "Barbra Streisand" of the Philippines! 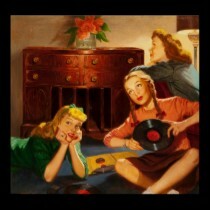 Great voice. Turly word class.